So I've got some cool friends. A little background: when I first moved into my apartment (one year ago today exactly! 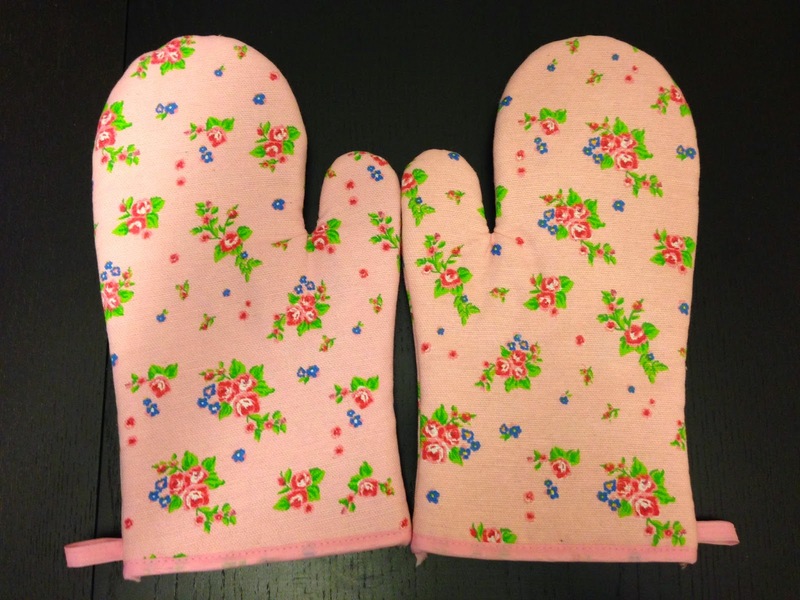 ), I only remembered to buy oven mitts at the last minute. 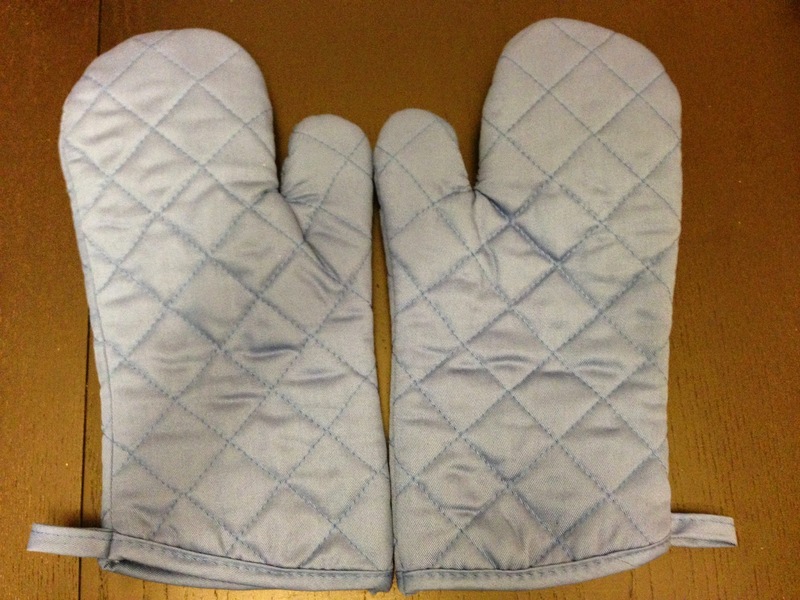 I grabbed the quickest and cheapest one I could, which was a single oven glove appropriately called the "Ove' Glove." 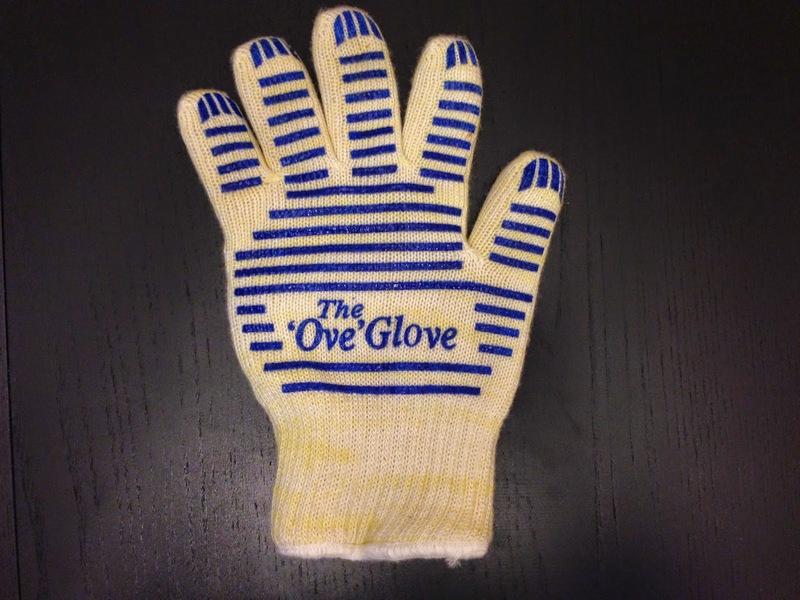 The night I moved in, we made pizzas and the Ove' Glove was the source of much entertainment and complaints, as it appeared to be a very good conductor of heat instead of an insulator. Whoops. To remedy this, a two weeks ago at my birthday party my friend Cassandra decided it would be a great gag gift idea for everyone to bring oven mitts for me. As a result, I am now in possession of 16 oven mitts, ranging in colours, sizes, and materials. So on this, the anniversary of me moving in, I've decided to work with these oven mitts the way that I know best: test them and write a report. My set-up was pretty basic - I made a system to hold the oven mitt a fixed distance away from a medium-heat element, stuck a meat thermometer inside, and took heat measurements for up to ten minutes. 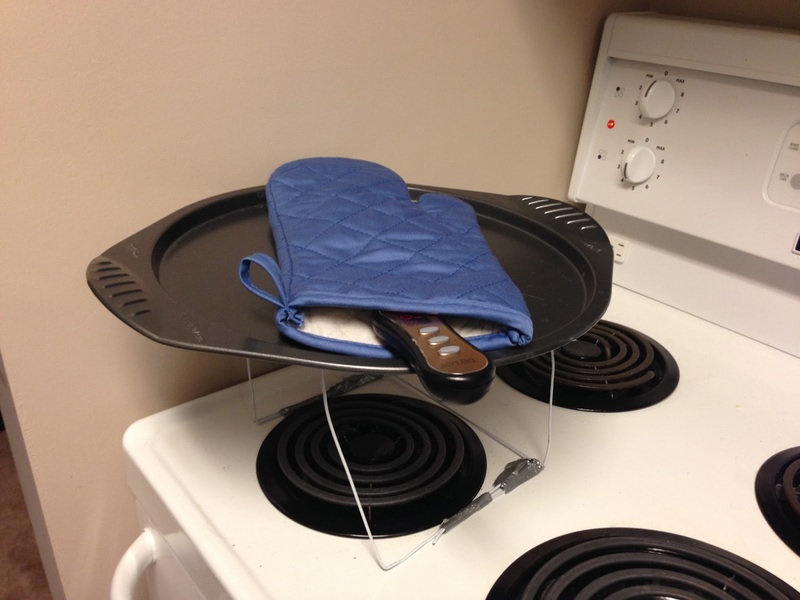 A check without oven mitts showed that this setup subjected the oven mitts to a temperature of approximately 70 degrees. I suppose at this point it's worth pointing out exactly how I'm ranking them. First and foremost, I'm looking at how long it takes the mitts to actually burn you. According to this source, 55 degrees is hot enough to give second-degree burns after 17 seconds. 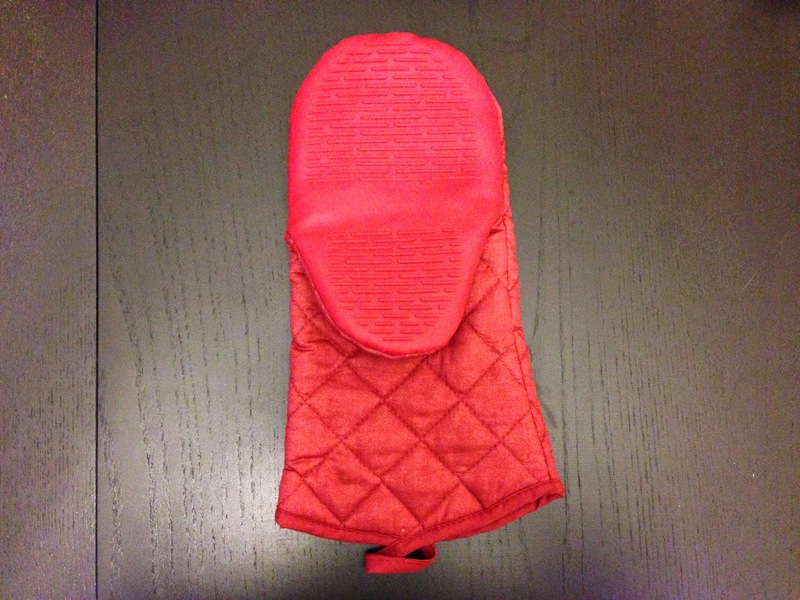 Holding onto a 70 degree heat source, this means you'd burn your hand in less than 5 minutes using this oven mitt. Sure, that's not how normal people use these, but hey - you gotta compare them somehow. Since these have the highest potential for burning, I rate them the worst. Though these are by far the prettiest, they're also quite deadly. If my hand had been in them for the experiment, I would have gotten a burn about 5:20 into the test. Not nice. It's also worth pointing out that throughout all tests, these oven mitts got the closest to 70 degrees (67.6 after 10 minutes). Yikes! Hilariously, I got these as a Christmas present from my parents before any of these birthday shenanigans went down. Sadly, they're also apparently the type of oven mitt that likes to burn your hand off. Their redeeming factor is that they only increased in temperature 1.2 degrees within the first 30 seconds of the test, which is more than enough time for most oven extractions. Would likely have burned my hand about 5:40 into the test. Man, these silicone ones look so fancy, but really like burning your hands to crisps. 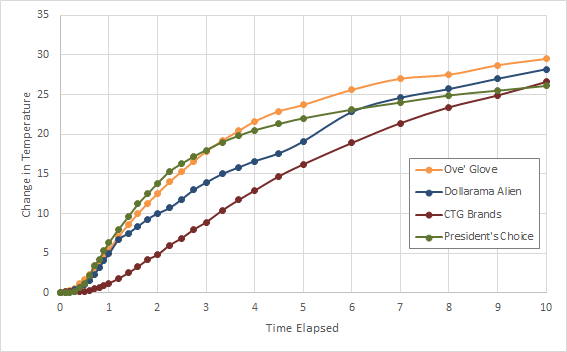 This is very similar to #7, in that it has one of the lowest heat gradients at first, but by 7 minutes into the test would have made you very unhappy. I'm sure there's some materials science point to be made here, but that would involve actual science. 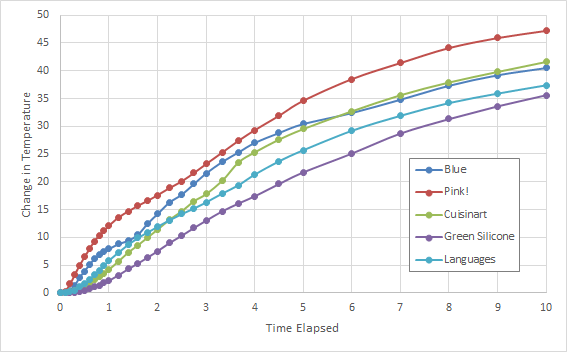 Again, the pink and blue oven mitts both had high initial rates of heat pickup, and ended up with the highest heats (the ranking order is a bit different from the graph because I tested the pink one on a colder day. I know, terribly unscientific of me...). The silicone mitts did much better for the first two minutes, but then took on heat at a similar rate to everyone else. Tsk tsk. In a stunning come-from-behind near-podium finish, the Ove' Glove turns out to be a contender! And if you don't believe me, check out this totally awesome super cool consumer video (sarcasm). The Ove' Glove gained heat at an average rate of 2.95 degrees per minute - not shabby! Put this sucker on your hand and you've got great alien chestburster puppet! Alternatively, use it to take hot things out of an oven and not burn yourself. 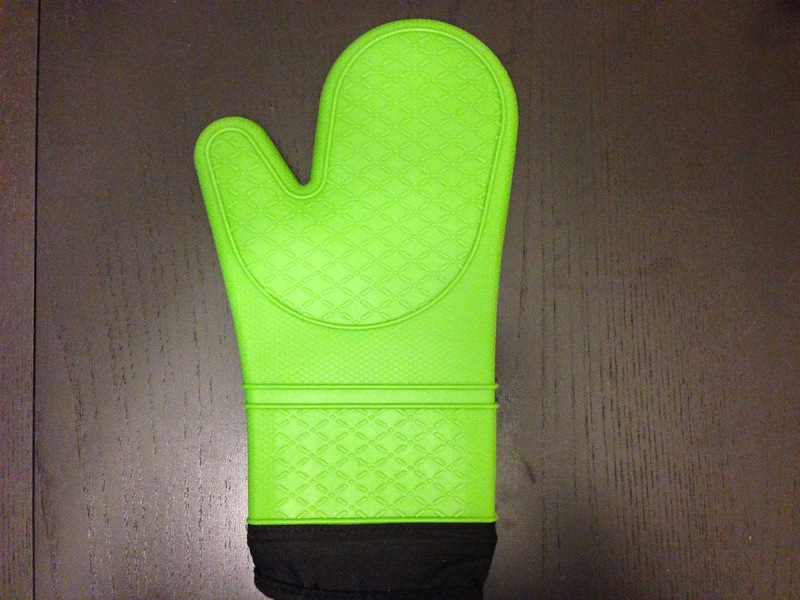 By far the best bang for the buck, somehow it combines the silicone and fabric and makes a decent oven mitt, gaining an average 2.82 degrees per minute. Wowza. This one is hefty, basically goes up to my elbow, and can hold its heat, only gaining an average of 2.66 degrees per minute. Very nice. These also won the contest for lowest heat pick-up in the first minute, and didn't even register a temperature change until 30 seconds into the test. These guys were the bomb, only gaining 2.61 degrees per minute. They're also flexible enough to use regularly, unlike the silicone ones. Again, some very smooth curves here. 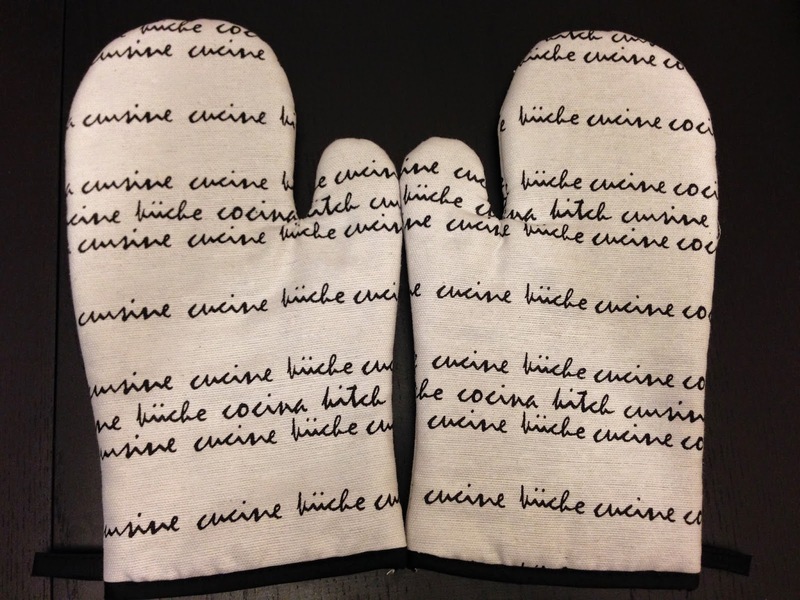 The CTG oven mitt was by far the steadiest heat increase, but lost out to the PC mitt over the full length of the test. I know that my ranking has been more-or-less arbitrary this whole time, but I'm comfortable with declaring the CTG mitt to be my favorite (because really, who uses a mitt for 10 minutes at a time?). 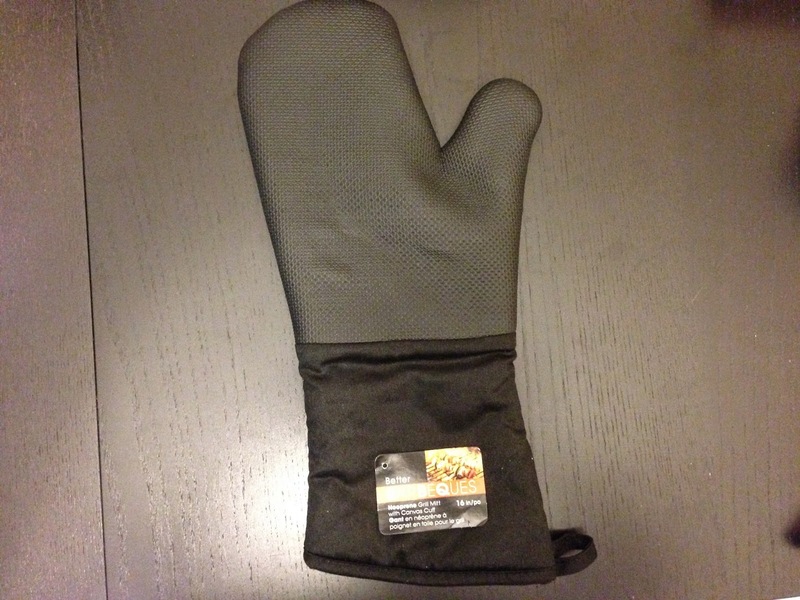 Thanks again to everyone for pitching in on the oven mitt present. I hope I've used them in an appropriate manner! thanks. i thought no one in the universe would have time do this sort of study. but I am glad I was wrong. 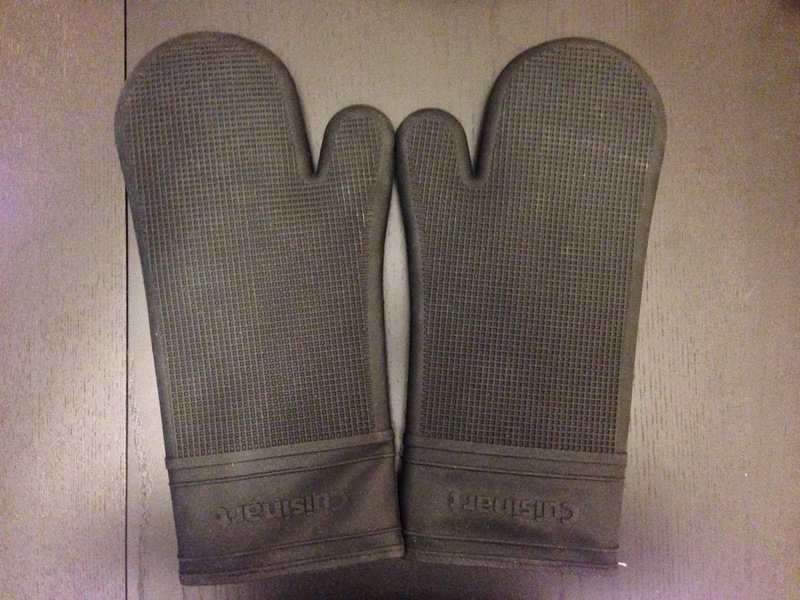 I have no idea if you check these comments but could you by any chance tell me where the #1 pair of oven mitts was purchased? I can't find them online and if they're as good as you say they are, I'm interested in investing. Email me at herropreez17@gmail.com if you wouldn't mind. 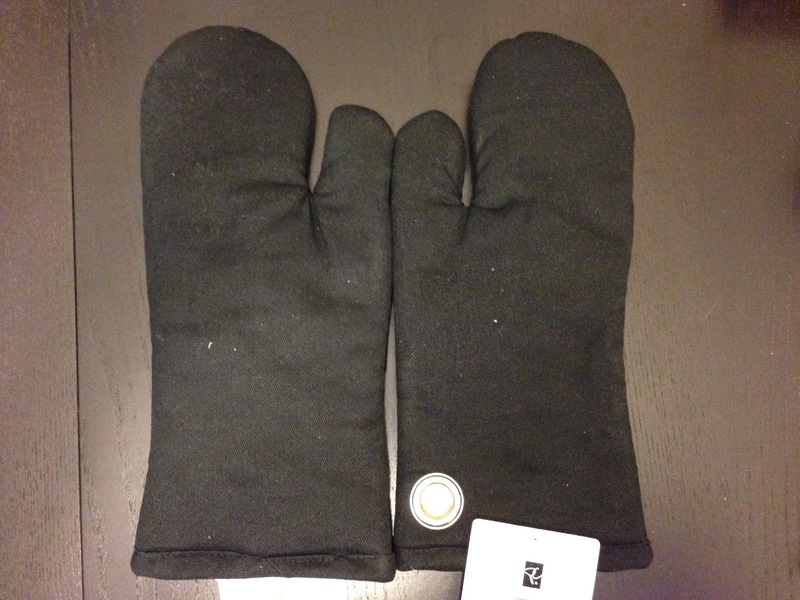 I wonder how well winter gloves could compete against oven mitts. President's Choice is a Loblaw's store brand, so I'd assumed they were purchased there. In your opening paragraph you complained that the "Ove-Glove" conducted heat not stopped it then gave it a good review. Debbie... I read that as, while Ove-Glove is a good conductor of heat, it out-performed many others. Thanks for sharing this review. I see it as unbiased. Any kind of creative works i like so more. I hope there are more people are like this products and they have more interest to use these. Highly activities and very creative knowledge makes it so more attractive for the people.